Shmee Tries His Hand At Cuphead! Cuphead was a game I wasn’t sure I was going to play. I knew it looked good, and that it played well, but it is basically a collection of artfully created Mega Man boss battles. Then just to change things up they throw in some Contra style run and gun stages, and few Ikaruga style shoot ’em up levels. In other words, all the games I loved, but was terrible at as a kid. Thankfully while Cuphead isn’t easy, it is fair, so after playing a level fifteen times or so you can usually figure out what you need to do. 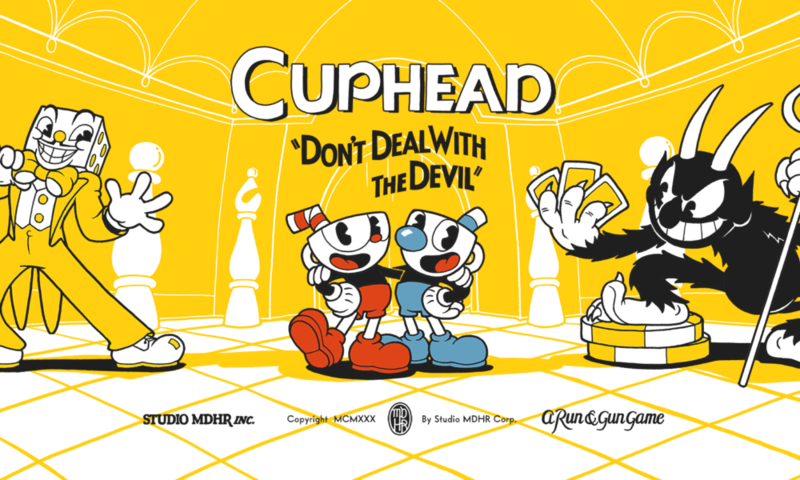 Its challenge plus its amazing style means Cuphead is fun and unique experience. In the game you take control of the titular Cuphead. He lost a game of dice with the Devil and now needs to collect all the Devil’s contracts for him. Of course to collect those contracts you need to shoot different guns out of your fingers. These guns are elixirs you can buy from a local pig/merchant and then pour in to your cup shaped head. The contract levels are pretty much just boss battles. The creatures are upset you are collecting their contracts, and they fight back. They usually go through several mutations, and figuring out the pattern to each mutation is the key to success. Though for some of them you do take to the skies and shoot them with your plane while tons of stuff and the boss’ attacks fly at you. To get money for the pig you need to complete the run and gun levels to find the golden coins that are hidden inside them. And that sort of stuff is on screen non-stop. 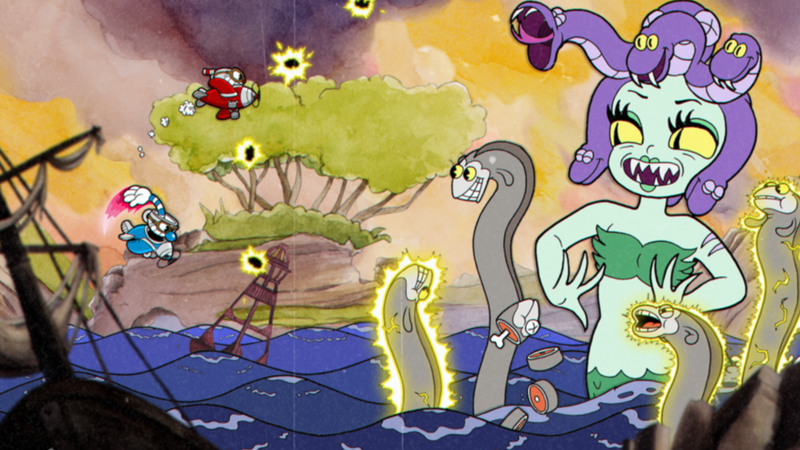 Listen, if you have $20 to spare, there is nothing quite like Cuphead (except: Mega Man, Contra, and Ikaruga), and it is well worth checking out. 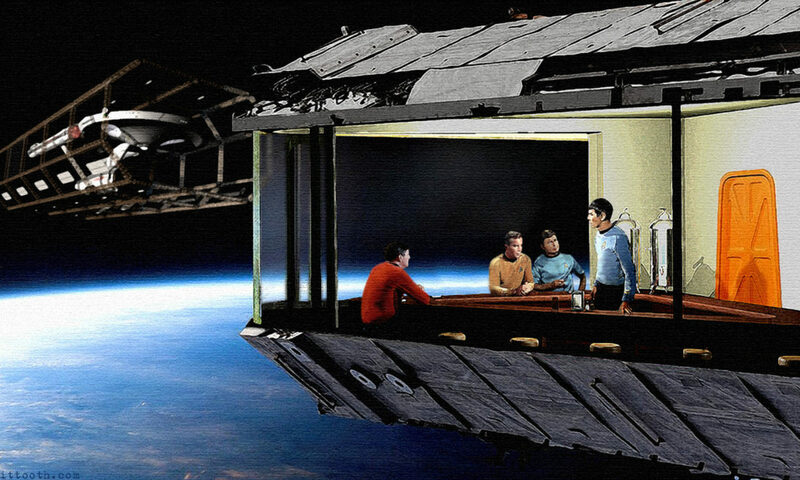 If only for the art alone it is worth the money. StudioMDHR needs to release a photo mode just so we can save all these images for the backgrounds of all our devices. I never thought I would like a game like this, but so far it is a ton of fun, and well worth the Amazon Promotional Credits and Bing Points I spent on it. Previous PostPrevious Does Fortnite: Battle Royale Scratch The Console PUBG Itch? Next PostNext Shmee Listens To The Handmaid’s Tale!